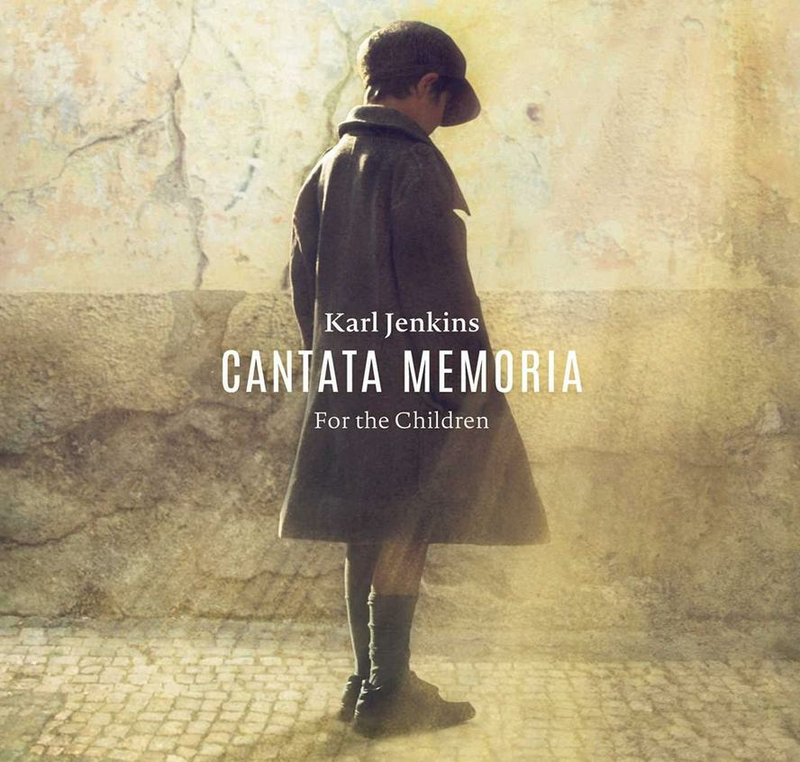 Cantata Memoria commemorates through new music the Aberfan tragedy of 21 October 1966, when 116 children and 28 adults tragically lost their lives as a coal tip enveloped Plant Glas school, together with some houses, in Aberfan, South Wales. This large-scale choral work – in English, Welsh and Latin – has been commissioned by S4C, the Welsh language TV channel, to mark the 50th anniversary of what has become known to subsequent generations – both in the UK and around the world – as the Aberfan Disaster. In one of the first large-scale works since the hugely successful The Armed Man – A mass for Peace, this special and profoundly emotional new work features bass-baritone Bryn Terfel and harpist Catrin Finch, as well as a host of children and adult voices. Though written to commemorate a specific and profoundly sad event, the emotions and themes in this special music resonates beyond, reflecting the universal sensation of loss and the journey from darkness to light. The biggest opera star in the world returns with a brand new album of favourite Italian songs – his own personal homage to a culture where the influence and beauty of opera are felt far beyond the walls of the opera houses. There’s lots to enjoy in this generous collection of popular numbers, including such immortal songs as 'Con Te Partiro', 'Parla Piu Piana' from The Godfather, 'Catari Catari', Caruso and many more. Asher Fisch and the Orchestra del Teatro Massimo di Palermo bring innate Italian flair to the accompaniment. 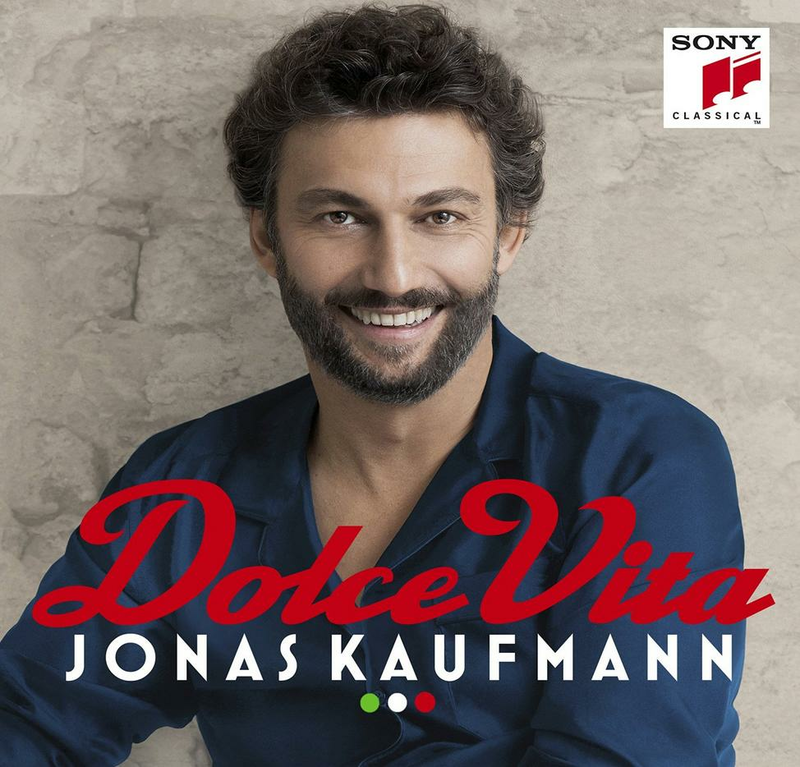 A must for Kaufmann fans and anyone who enjoys good tunes well sung. 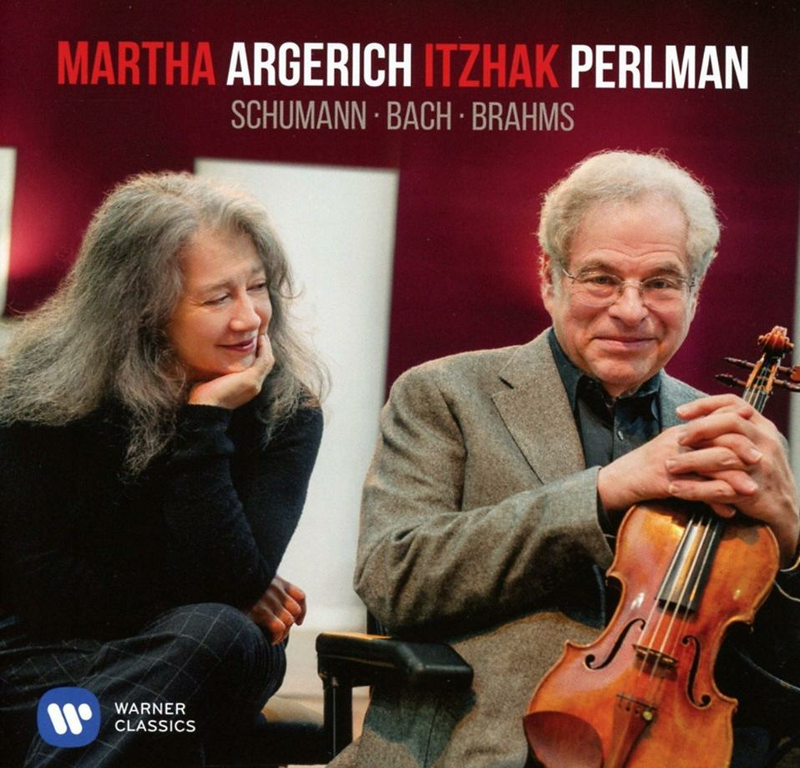 Perlman and Argerich have not played much together, which, on the evidence of this album is a shame. When I interviewed Perlman for Classic FM in the spring, when he chose a Full Works Concert for us, he made clear his admiration for the Argentinian pianist. That shines through this connoisseur’s programme of Schumann’s Violin Sonata No1, recorded in New York in 1998, and then some more Schumann, with Bach and Brahms recorded as recently as last March in Paris. Argerich is on cracking form here, with her technique showing no signs of the ravages of time, despite her recently celebrating her 75th birthday. Perlman, who turned 71 in August, also sounds well. Perhaps, in my favourite piece, the Scherzo Brahms wrote for the so called FAE Sonata, in the big tune in the middle section, his tone lacks the soaring beauty of yesterday. But he remains a player of great accomplishment, and this album, though a bit short weight at 51 minutes, places before us once again two artists of such quality, any lover of chamber music should hear these recordings. This Hyperion issue to be released on 29 October is another sure fire winner from Andrew Carwood and his outstanding choir, taking further their Tallis edition, that will ultimately record all of this great British polyphonist’s known works. This typically generous 77-minute album, focuses on Tallis's 40 part motet, Spem In Alium, and you get two versions here; the Latin one, most of us know, and a rare English texted version, Sing and Glorify. Room is also found for more than a dozen other shorter works, and anyone who loves to wallow in the Great British choral tradition should not hesitate. I sense this could well be a potential award winner. Tamara Konstantin trained as a pianist in Georgia, before later building successful careers as a TV presenter, and a senior executive in an oil company. Now a long-time resident of the UK, living with her successful businessman husband in Dorset, Tamara some years ago returned to music, re-honing her pianistic technique, and also composing. The fruits of her labours first appeared on a privately circulated CD, recommended to me by a Classic FM colleague, and from which I played one item, Spring, from her piano Four Seasons. This went down very well and attracted a positive postbag, so I played it again, with the same result. I am therefore glad that this album is now being made more widely available through Stone Records. Anyone who buys it, or downloads it, is in for a treat. Tamara is inspired by the great piano masters of the 19th century, to produce melodic music, well laid out for the piano, that is not in the least derivative, and has great charm. These days, thankfully, with atonalism seen as a blind alley, we can celebrate the return of well crafted melodies which is what you get here. Tamara shares pianistic duties with the Dorset pianist Duncan Honeybourne, a most accomplished pianist, who has himself recorded some interesting CDs, well worth digging out, of English romantic piano music on EM Records. Another who believes in the power of melody, but not used sentimentally, is the Irish composer Philip Hammond (not that one!) 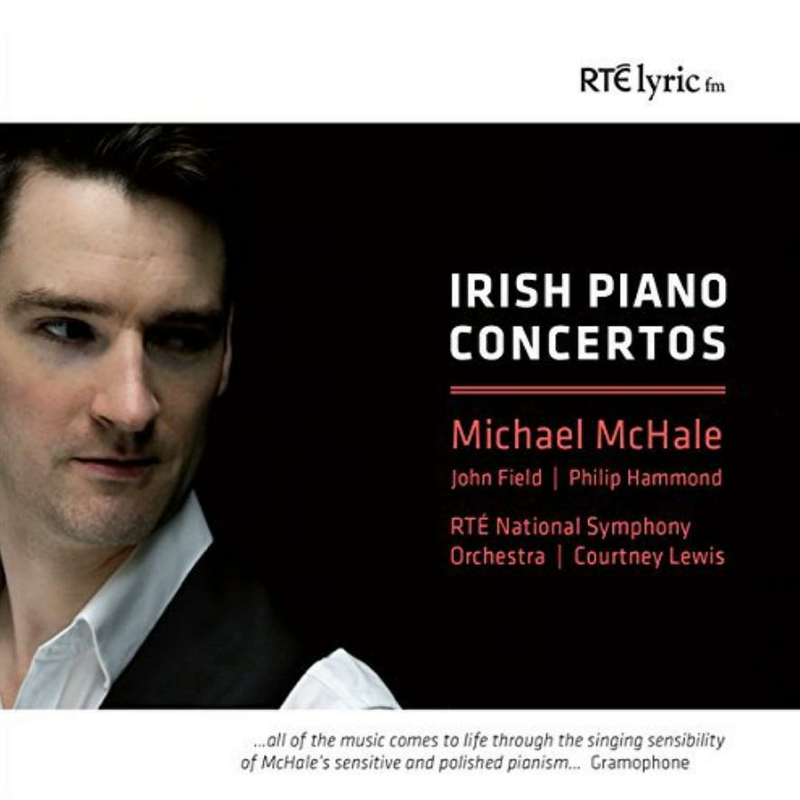 His Piano Concerto, composed in 2014 for Michael McHale, makes for attractive listening, all the more so, because it is neither simplistic, nor without its challenges. I thoroughly enjoyed it. The principal work here is the Irish 19th century composer John Field’s Piano Concerto No3. Field was an itinerant virtuoso, who spent much of his life in Russia and Eastern Europe. He is credited with inventing the Nocturne, and indeed the second movement of this concerto is one of his nocturnes arranged for piano and orchestra by McHale himself, because this third concerto does not have a slow movement. Musicologists believe that Field would have played one of his nocturnes as a slow movement, or extemporised. The first movement doesn’t have that much distinction, but the third movement, a Polish polacca dance, is full of good things, and I will be playing that bit of the movement in one of my Sunday programmes in November. 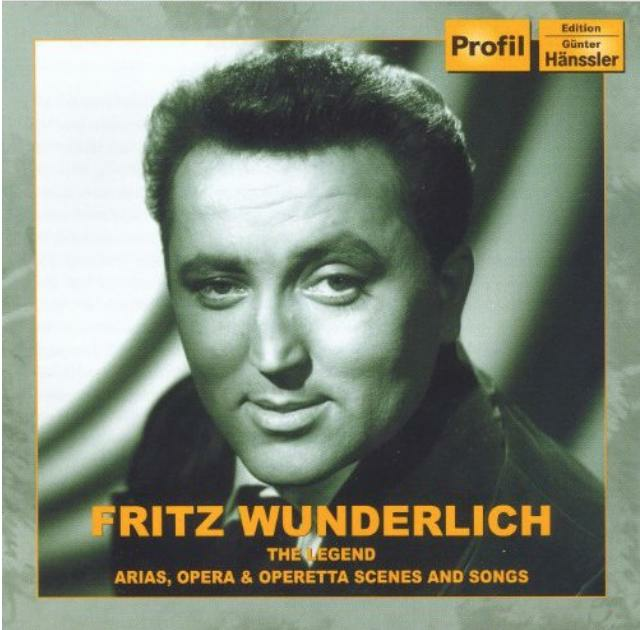 My reissue of the week is devoted to the tragically short lived German tenor Fritz Wunderlich. Wunderlich had already established himself as an exceptional artist across a wide range of music, encompassing opera and operetta, as well as Lieder. On the eve of his 36th birthday, he was found dead at the bottom of a flight of stone steps in a hunting lodge in Southern Germany. Mystery surrounds his death to this day. Was it just a stumble following an evening of alcoholic excess, or was there something more sinister to it? Rumours abound of a quarrel with a fellow singer over a woman. Fascinating stuff, but I suppose we will never know the truth. But there’s another truth we can state with certainty, and that is Wunderlich’s exceptional quality as a singer, which is everywhere apparent in this generous 3CD set. Volume 1 is devoted to opera, ranging from Mozart to Massenet and Tchaikovsky, with a bit of Puccini thrown in. Volume 2 has some wonderful arias from the operettas of Lehar, Johann Strauss the younger, and lesser well known figures like Leo Fall and Carl Millocker. Volume 3 is devoted mainly to Lieder, and contains some fine songs by Schubert, Wolf and Richard Strauss. Handily priced, and with comfortably over 3 hours of music, this is not to be missed by any lover of great singing. I defy anyone to listen to any of these tracks without appreciating what an appalling tragedy for music Wunderlich’s early death really was.